We’re all growing to become more like the people God created us to be. God loves you just as you are, but too much to leave you that way. What new growth does God have for you this season? The Vineyard is full of opportunities to connect and grow with one another in meaningful ways! Whether you’re new to the Vineyard or you’ve been attending for years, there’s a next step for you. 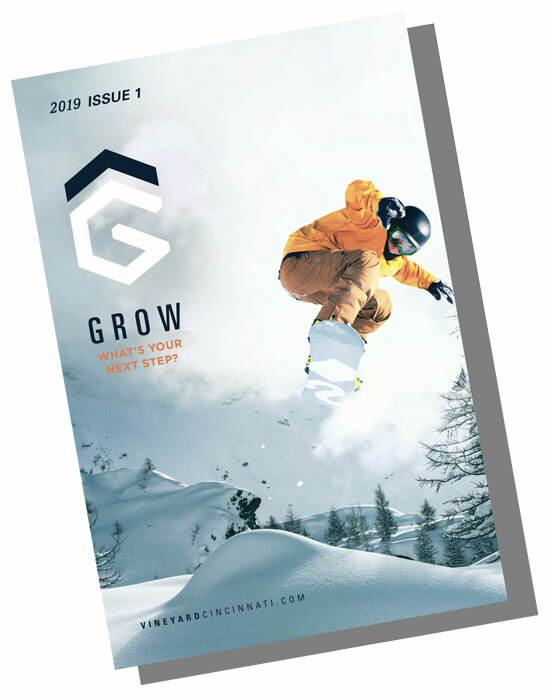 Check out the Grow Booklet to learn more about the groups, classes, and events available this season.